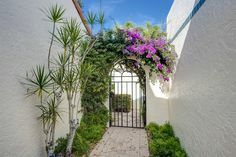 A Vintage Naples Home, located on one of The Moorings most desirable streets, evolved to a mid-century/art deco interior by renowned craftsman. Large corner lot with well-groomed mature landscape and paver driveways with parking for 8 cars. Interior remodeling opened the floor plan of this 4 bedroom, 2 ½ baths. Kitchen features SubZero, Wolf, and Miele appliances. The island features a live edge American Black Walnut bar harvested from FDR's Hyde Park Estate in the 1950's. Exquisite custom wood built-in bar and powder room and interior doors. Limestone floors, custom lighting and speaker system enhance this home. The exterior is also well featured with Dominican Coral Stone exterior cladding details and Solid Quartered Oak entry doors, impact sliders, Quartered Oak Summer Kitchen and exterior details. 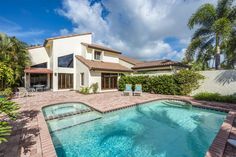 Located in the heart of The Moorings equally convenient to Waterside Shops, Venetian Village and Fifth Avenue S/Third Street. Eligible for private Moorings Beach Club membership for $100 per year.